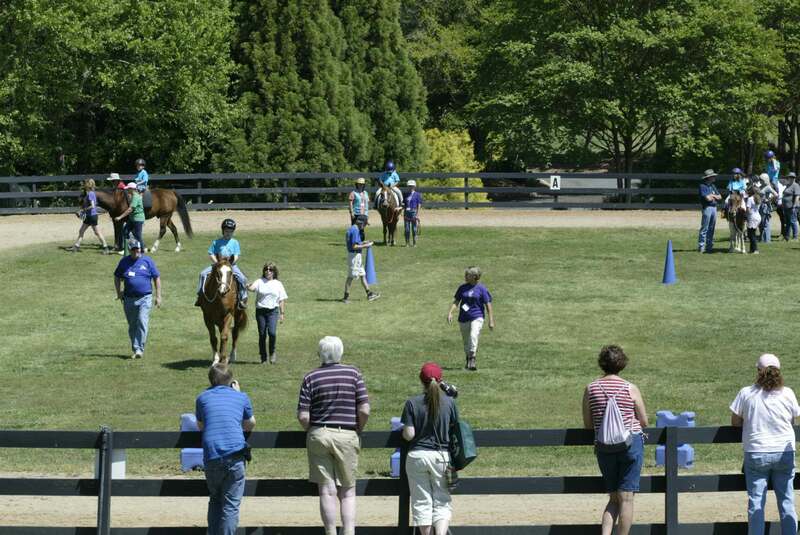 Misty Meadows Mitey Riders provides equine-assisted therapy to special needs children, ranging in age from 5-17, with varying conditions including autism, cerebral palsy and Down Syndrome, and more. Over 60 families come each week to participate in a unique and creative therapeutic riding program. Riders experience a variety of activities which challenge them cognitively, physically and socially, all while developing a long-term relationship with horses. Therapeutic riding truly is a one-of-a-kind experience for all who participate – riders, parents, volunteers, instructors and the horses as well! Click here to learn more about therapeutic riding. Click here to learn the benefits of therapeutic riding. Click here to read what others are saying about Mitey Riders.